In the Mother City the mountains are ablaze. It is late summer. Four days ago the fire started in Farmer Peck’s Valley adjacent to the seaside suburb of Muizenberg, known for its surf and sharks. Sitting here at home it is 42°C and the sound of helicopters are a constant background alongside the low hum of the city of Cape Town going about its daily business. 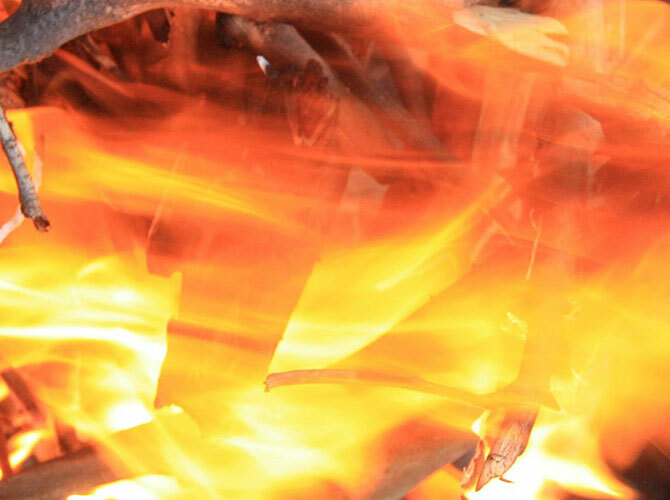 The fire spread quickly and gained strength owing to strong southeaster winds typical of Cape summer weather grounding helicopter crews and leaving ground-based fire teams to fight the blaze. 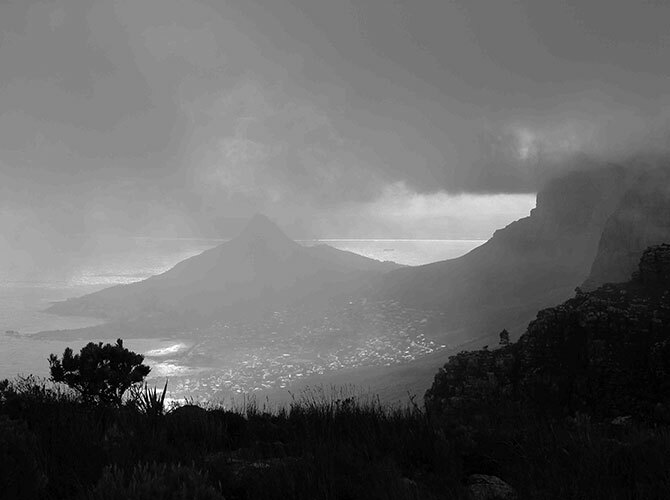 This autumn the weather of the last few weeks has had Capetonians all over hunkered down with their hot chocolate and warmest clothes and blankets, as unusually early winter rain has arrived. There has been a distinct chill in the air and reports have come in of snow falls in the mountains further inland. 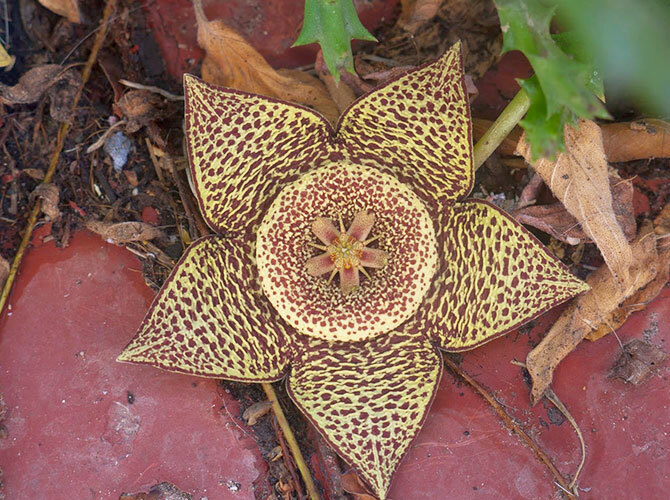 While drinking my morning tea on the stoep and watching raging torrents of water cascading down the eastern face of Table Mountain, I noticed this curious and beautiful plant flowering at my feet for the first time. This blog comes from Cape Town: one of the world’s most beautiful cities at the south-western most tip of the African continent. 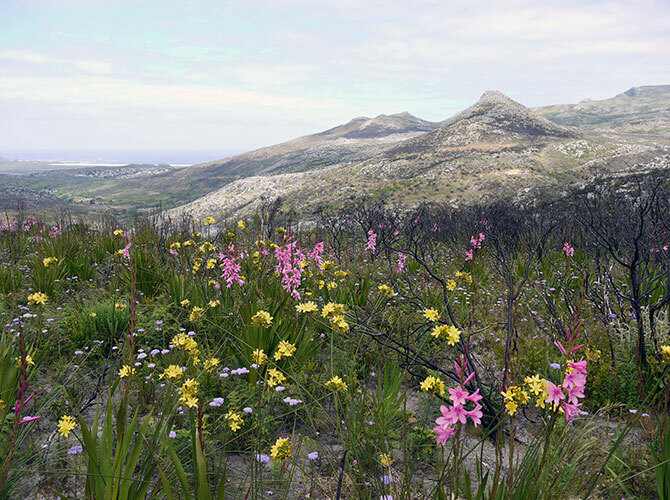 It is at the heart of the Cape Floristic Region (CFR) which forms one of the most botanically diverse environments on the planet. 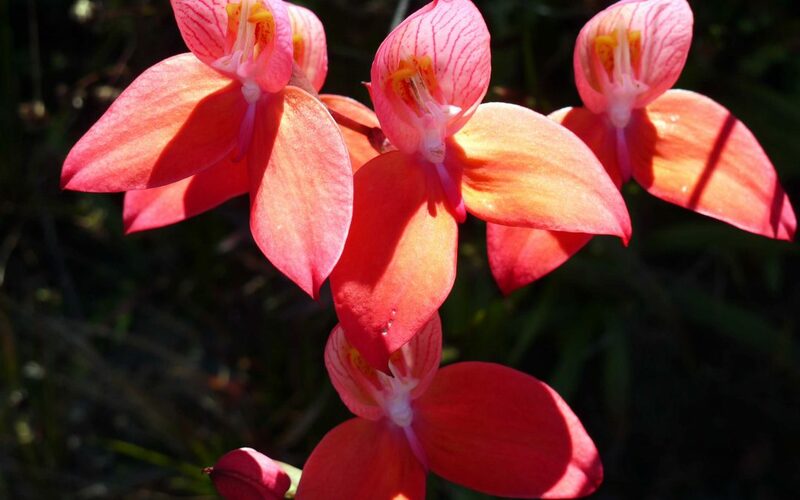 A lifelong love of plants brought me here for the first time five years ago as a horticultural intern at the world famous Kirstenbosch National Botanic Gardens. I was born in the United Kingdom and grew up in the village of Portesham in the rural Westcountry county of Dorset. A little more than two years ago I decided to make South Africa my home and flew 7,000 miles southwards to the Mother City to begin a Masters Degree in Botany at the University of Cape Town in its stunning location at the foot of Table Mountain.